Job Description: Day Care Practitioner 32 hours per week in Woodbridge, IP12 3RE. Responsible to: Nursery Manager Job Purpose: To provide a high standard of physical, emotional, social and intellectual care for children in the nursery. To ensure all individual needs of children are identified and met. To understand the characteristics of effective teaching and learning and implement these with all children. To ensure all Company policies, procedures and operational practices are adhered to at all times. To be a key person to a group of children, planning and implement a programme of activities suitable to their development using the Early Years Foundation Stage Framework (EYFS). Person specification Knowledge A full and relevant level 3 qualification. Knowledge and understanding of planning and providing high quality childcare and education in line with the Early Years Foundation Stage framework. Knowledge and understanding of supporting children’s behaviour Awareness and understanding and commitment to diversity and equality. Skills An enthusiastic approach to working with early years children Demonstrate good practice in early years care and education Flexibility Committed to working as part of a team. Good interaction with children. Ability to work closely and constructively with children. Recognise that parents/carers are the main educators Ability to model good practice to staff. Ability to work in partnership with parents and carers. Effective time management and organisational skills. Ability to use judgement and common sense, and be able to work on own initiative. Experience Experience of working in childcare setting Have experience of working and caring with babies. Experience of observation, planning and assessment and completing learning journeys. 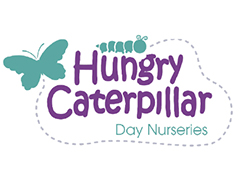 Alpha Nurseries are committed to safeguarding and promoting the welfare of children and young people and the company expects all staff and volunteers to share this commitment . This post will be offered subject to satisfactory references, an enhanced DBS and children's barred list check. Millie's Mark settings awarded in March Following a panel held at NDNA HQ on 15 March, here are the latest settings that have been accredited with Millie's Mark: Oakland Hall Day Nursery, Ipswich Greenwoods Nursery, Coleford Kids Planet Lymehurst, Manchester Kids Planet Hale, Altrincham Kids Allowed UHSM, Manchester The Owls Nursery, Bolton Co-operative Childcare Swindon Hospital, Swindon 22 Street Lane Nursery, Leeds The Co-operative Childcare Reading, Reading Capellas Nursery, Solihull Barnetby Under Fives, Barnetby Ladybirds Nursery, St Albans Congratulations to all of these awarded settings! Head over to our case studies to read new, inspiring stories from settings that have been through the Millie's Mark accreditation journey.